We offer 50 sleeping places in 17 rooms 2, 3, 4 and 5. 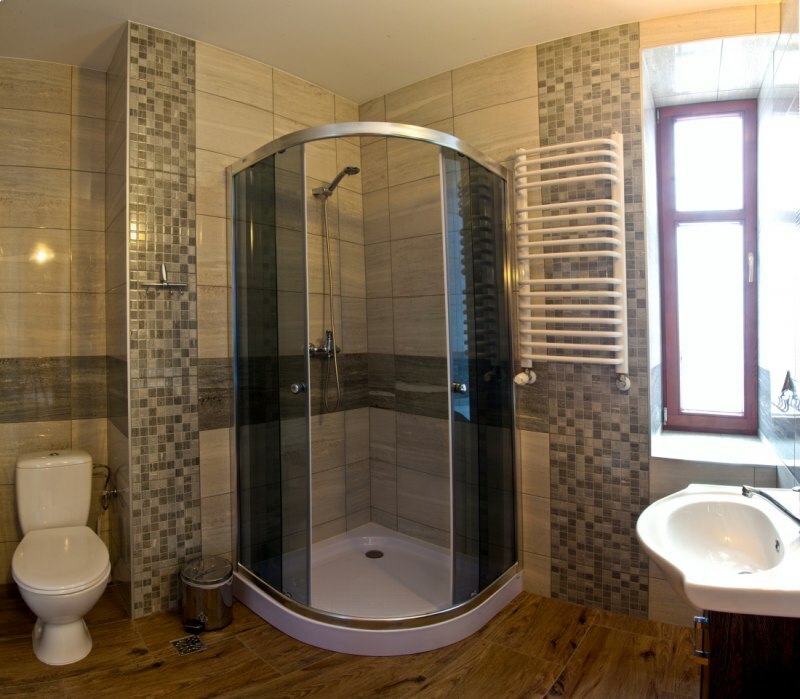 All rooms are equipped with bathrooms. The vast majority of the rooms are equipped with balconies and rooms on the first floor in a large terrace for sun baths and enjoying the beautiful views ranging around. 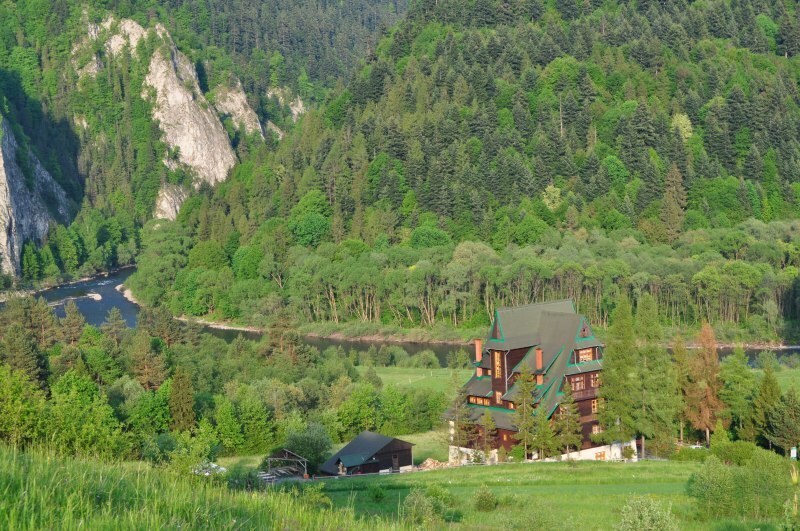 The windows of the rooms offers breathtaking views over the Three Crowns, Dunajec River Gorge Red Monastery and also of the Tatra Mountains. in the rooms is available Internet wi-fi. A hostel is open all year. In summer or during periods of holidays do not always find a free space. So it is worth to have to reserve the accommodation by phone or via the Internet. We invite visitors individual and organized groups /colonies zimowiska, "white" and "green" school, Tours works councils/. 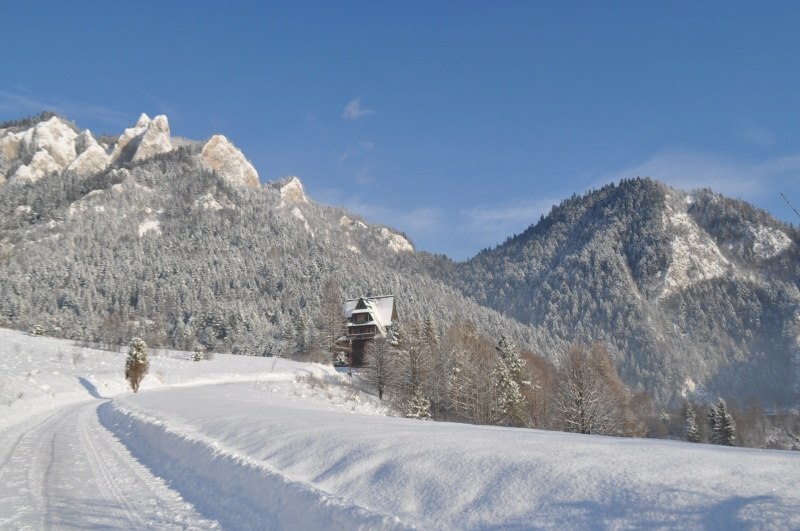 We organize: tours, and sledging cavalcade, for mountain, banquets and other. The wishes of the score help plan tours or we will get a group from qualified guide that perfectly will guide the group and shows the most important places. Adjust the route to the age and ability of the group.Next to the hostel, under the same monumental gievont Three Crowns prepared is enclosed, safe and convenient place for a bonfire. 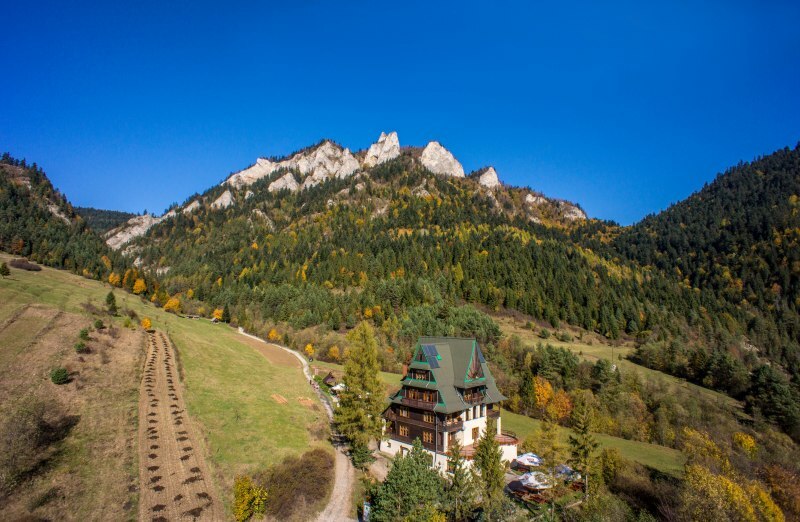 Here you can jointly sing, mention mountain trekking or just sit wpatrując in flames and listening to the sounds of mountaineers choir, which on request can umilać time presenting a unique pieniny folklore. For those who would like to neither did not only of the spirit, but and body - we focus from calf baking, or other dishes. 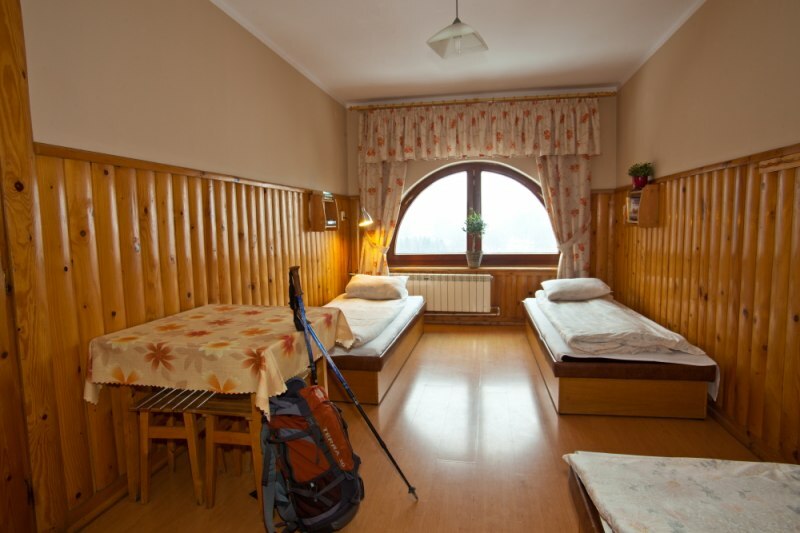 With less favorable weather conditions nice time can spend inside hostels. Welcome to the offers for schools and families and for businesses. Sromowce Wyżne - village in Poland located in Malopolska province in the Kreis nowotarskim, in the municipality of Czorsztyn in Pieniny Mountain over the Dunajec River. In the years 1975-1998 town situated in the province?-1918. In Sromowice- K±ty Wyżnych on wygonie had be the castle, in XV century had serve as guards secondary at very high castle on the border between Poland and Hungary. Currently the castle is not the track, nevertheless remained name top on which this castle was to be - Zamczysko. 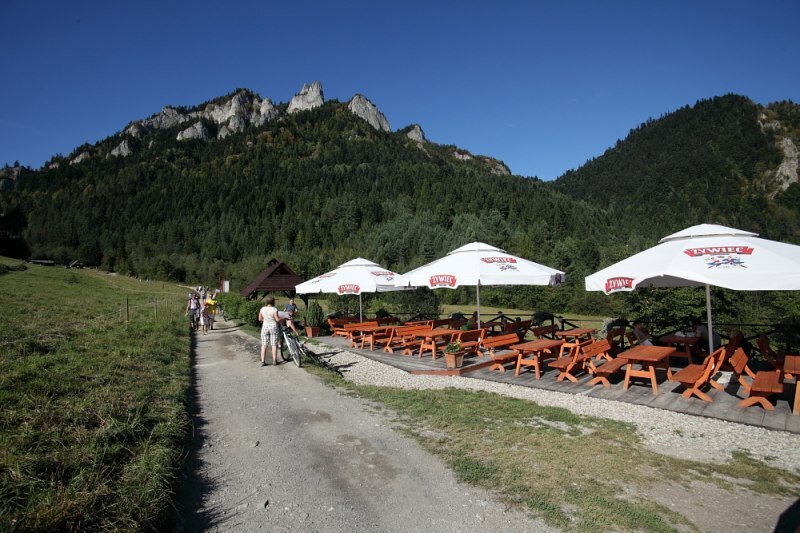 One of the main tourist attractions Sromowiec Wyżnych is the Dunajec River gorge. It is worth visiting the Regional organised by local wheel Housewives. Attraction for tourists is also historic church of Saint Stanislaus BM next to it are the monuments to the then land owners and founders of the church, family Drohojowskich. In the village are held summer festivities lugged regional teams. There is also a museum explaining the traditions of the mountain. 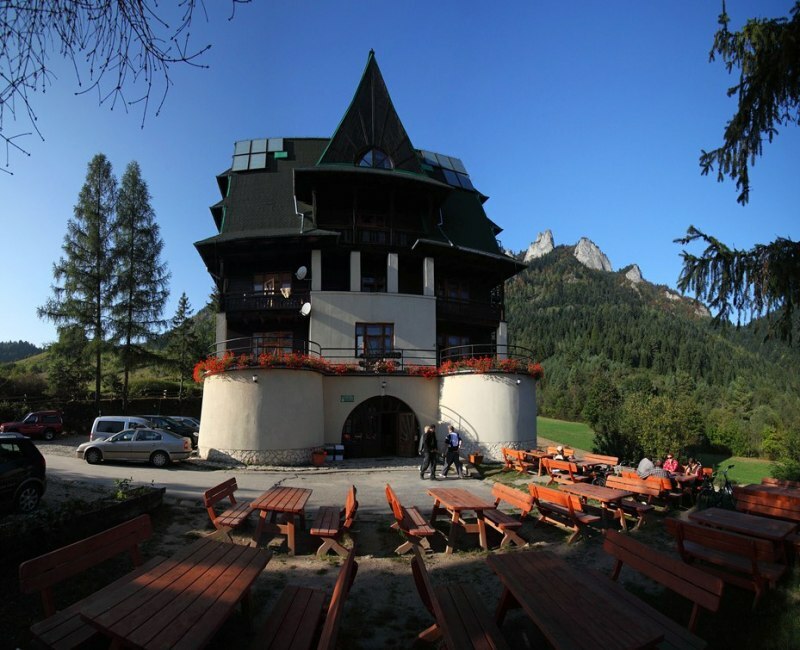 In the area of rural development ski Polana pine and hydroelectric generating station Niedzica, in which you can view movies and visit some interior dam on the Czarny Dunajec. Really notable place at the top. The quiet place where there is no traffic. 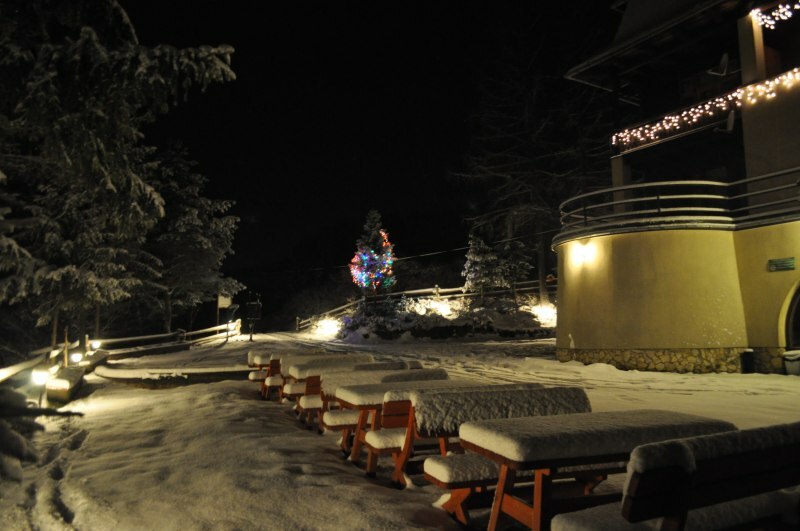 The beautiful views access to large amounts of mountain trails and really good food in the hotel restaurant. You must check this place. I think that this is the place for holiday stay. Ideal location, beautiful views and plenty of tourist attractions. Also a venue dedicated to is here really delicious regional food. Clean rooms with a beautiful view of the breakthrough. 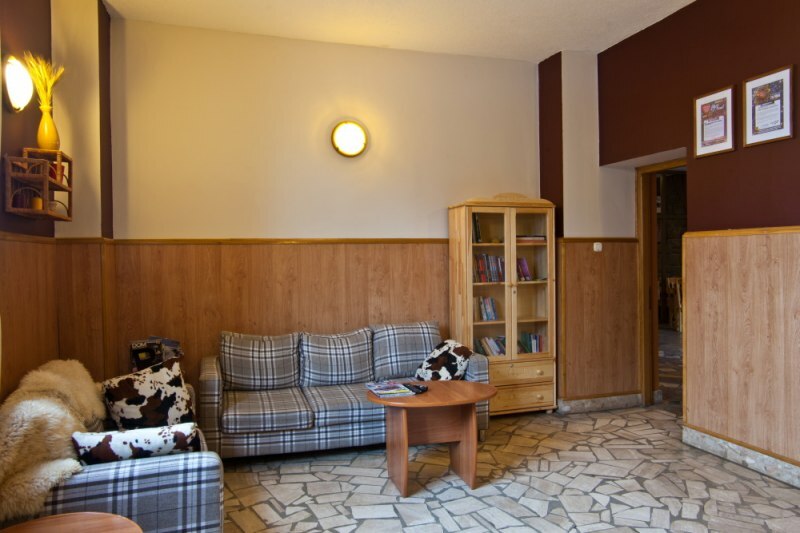 Also you can find here the corner for children, and you can take it on holiday in this place. Yes, very good place e.g. to relax in the mountains. Actually the rooms there are neat and very nice service. I recommend this object person looking for a cheap and peaceful accommodation and those who like homely regional food which is here really delicious. I recommend select here in winter, for example on the winter holidays.